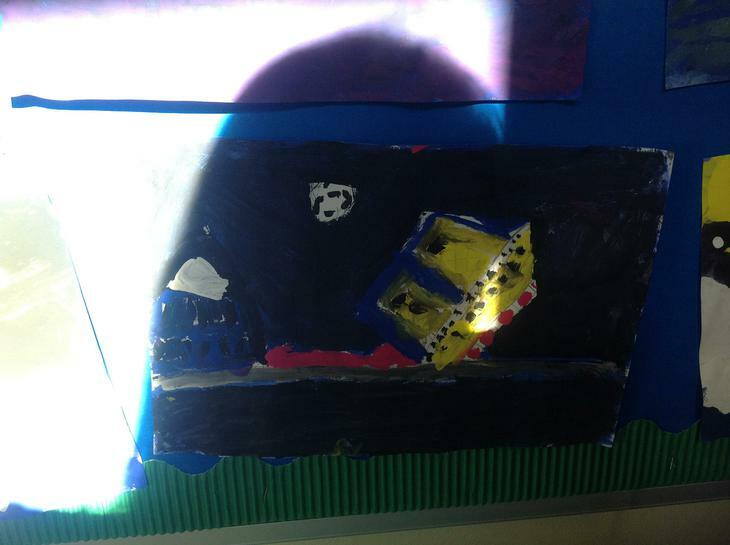 Today we wrote a persuasive letter to explain to someone else about the treatment of orca whales. 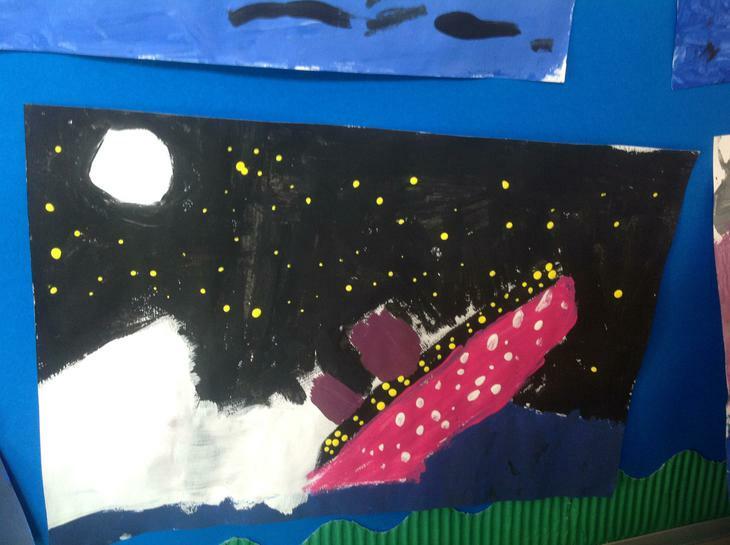 We chose someone who we felt needed to know more about killer whales in captivity and we chose people like Donald Trump, Steve Backshall, David Attenborough and even the Queen! 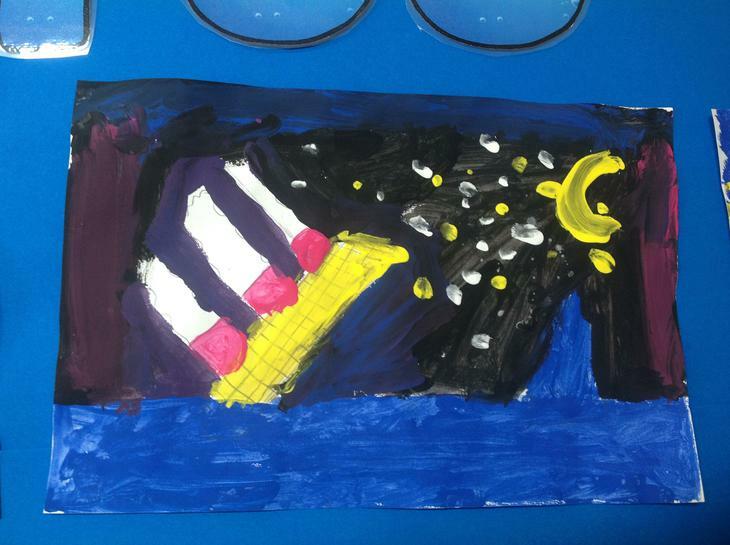 We tweeted some of our finished writing to these recipients. 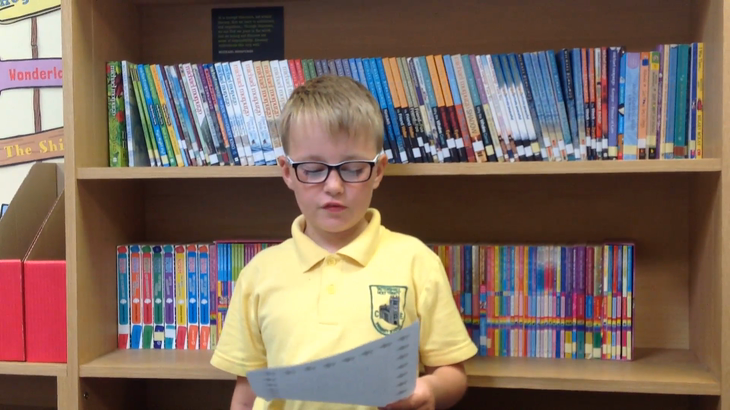 We can't wait to see if they respond! 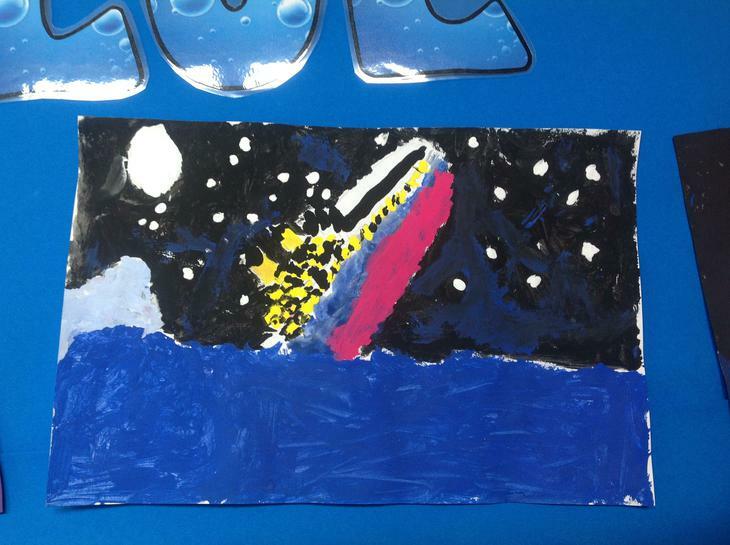 Sycamore Class have got very thoughtful on this term's English topic. 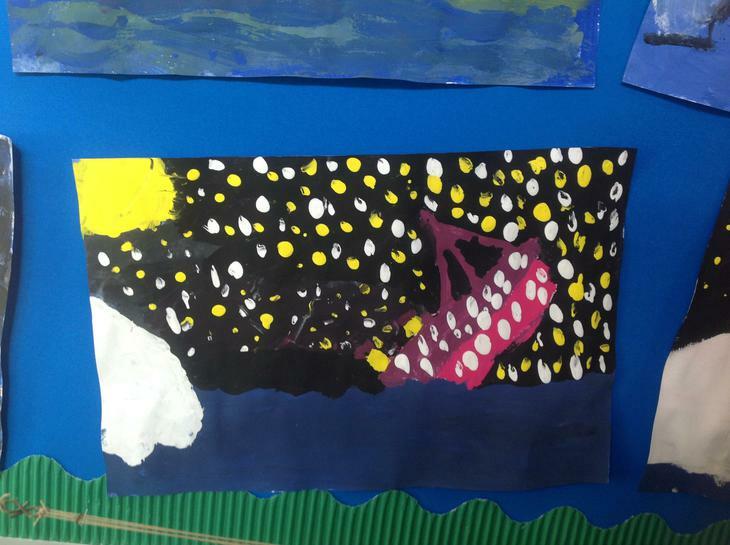 We have learnt lots about orca whales in captivity and the wild and we then wrote poems based on how we would feel as humans in that situation. 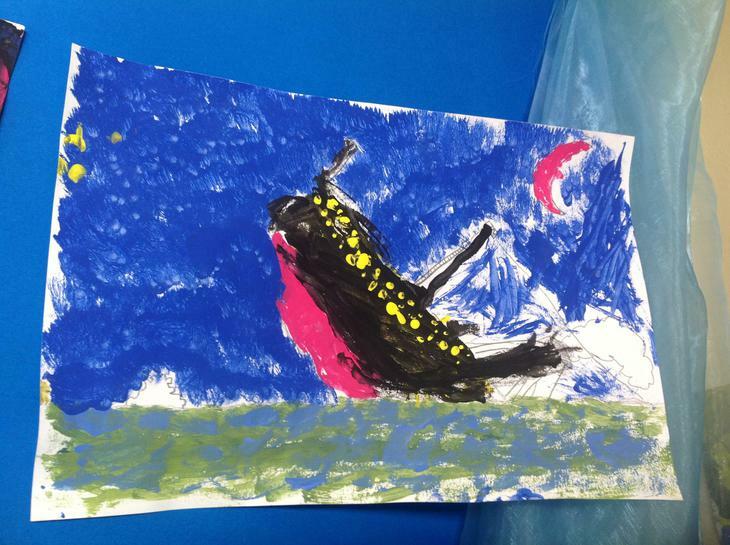 We were retweeted by lots of wildlife charities and whale experts! 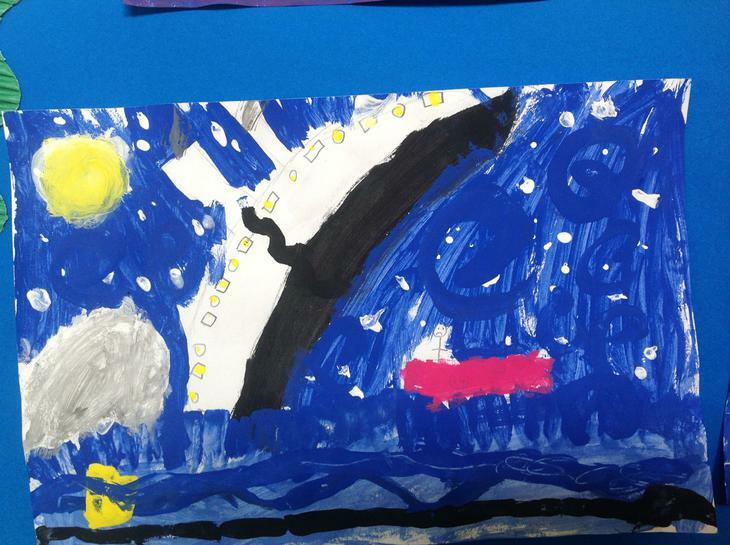 We have started researching an emotional and current topic this week, should orca whales be kept in captivity? 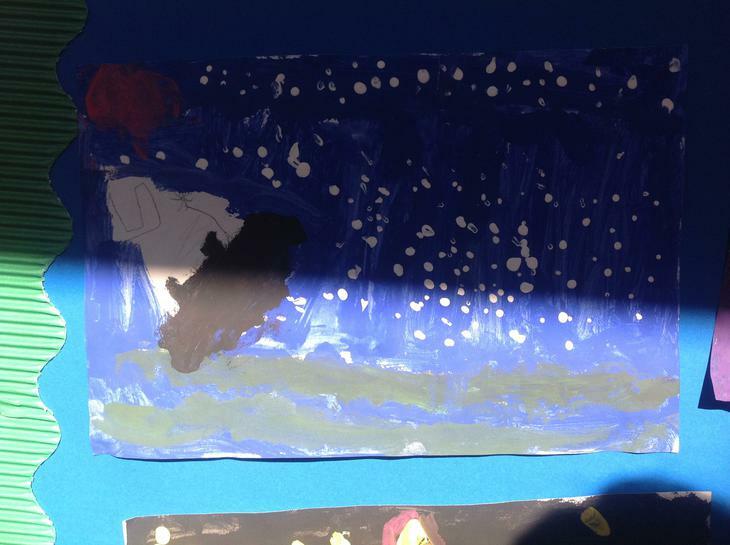 We compared their lives in both captivity and in the wild. 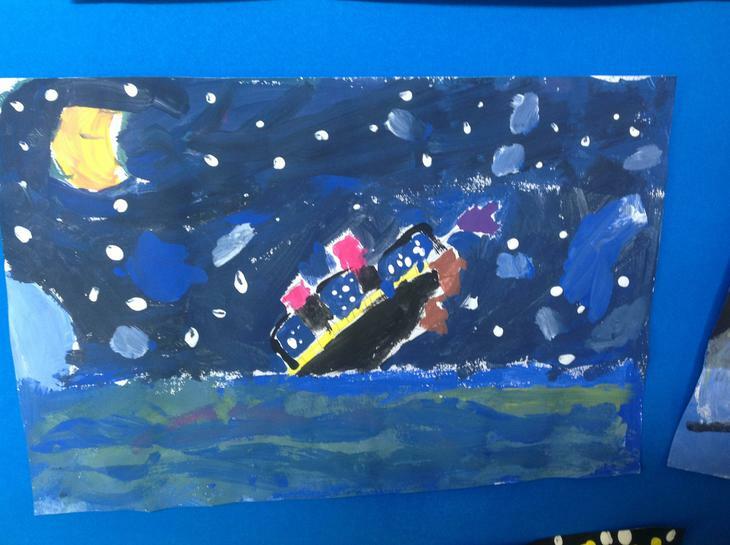 We will be creating some exciting writing and poetry based on this topic over the coming weeks, stay tuned! 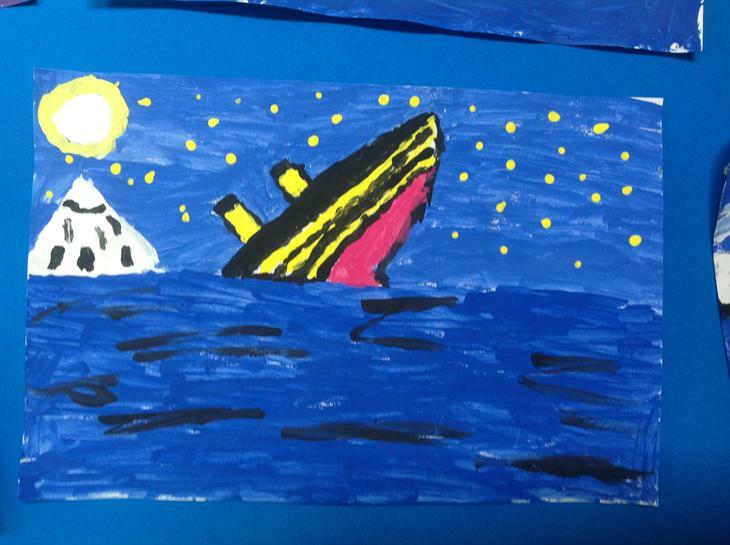 We have been writing some brilliant diary entries this week based on the journey of the Titanic. 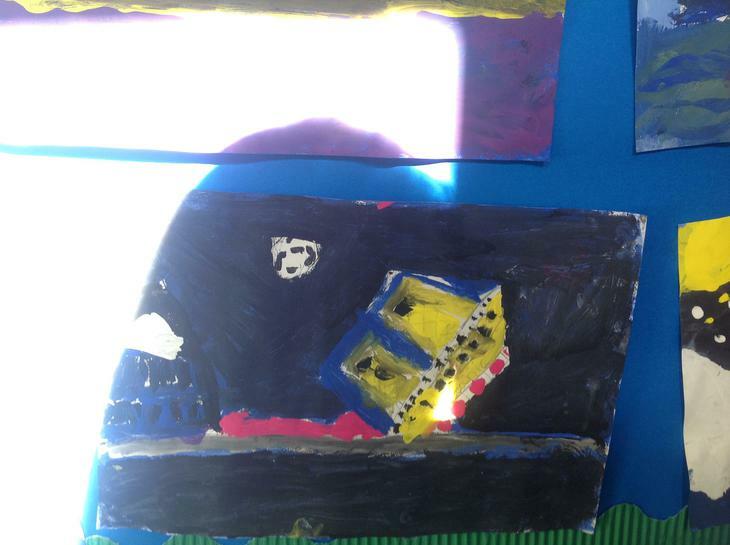 We picked which class we wanted to be in and looked at some of the activities the different classes would have done throughout the day. 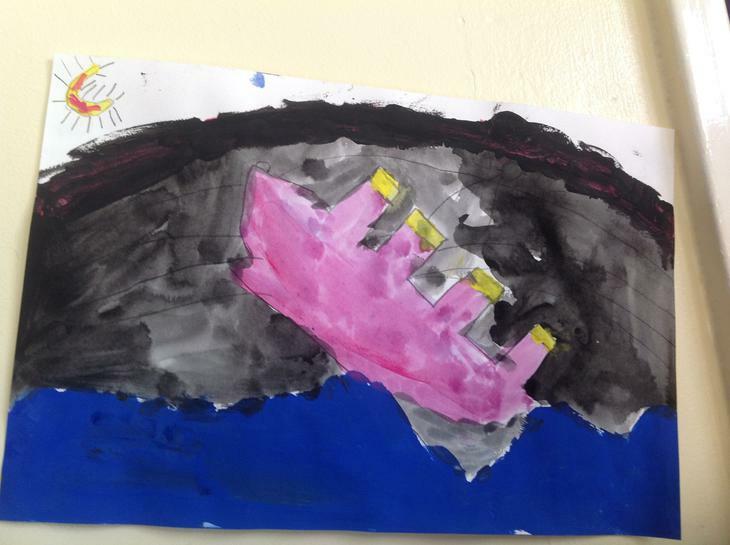 We were amazed at how different their lives are to ours now! 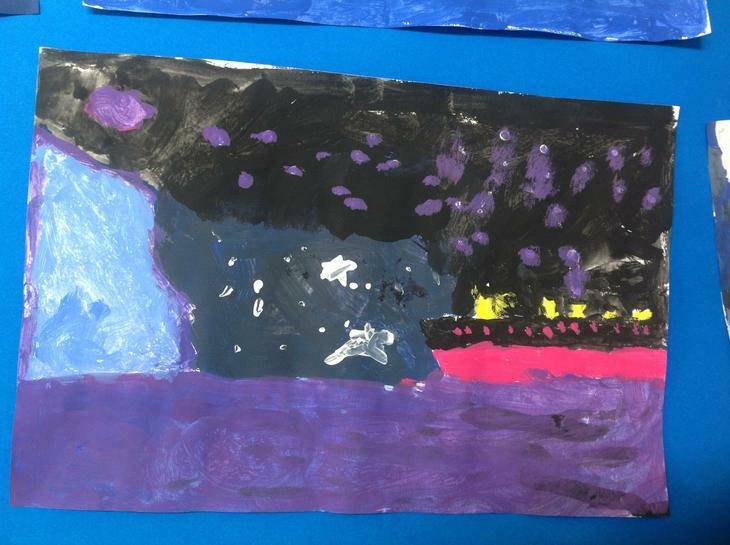 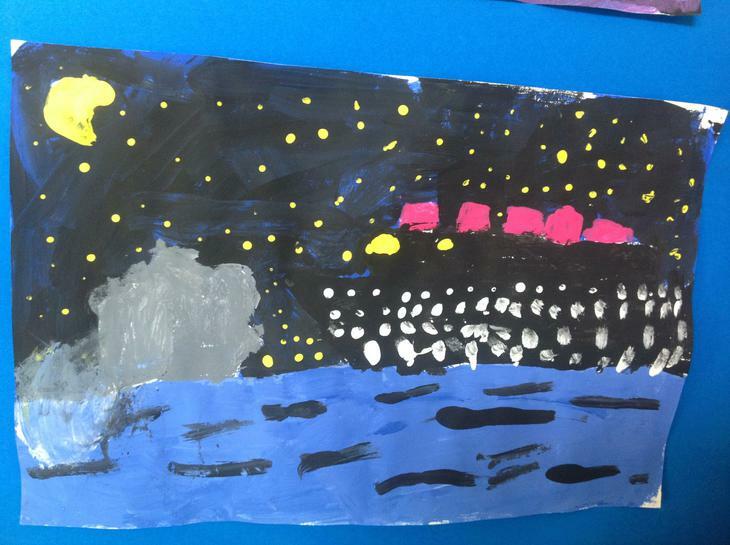 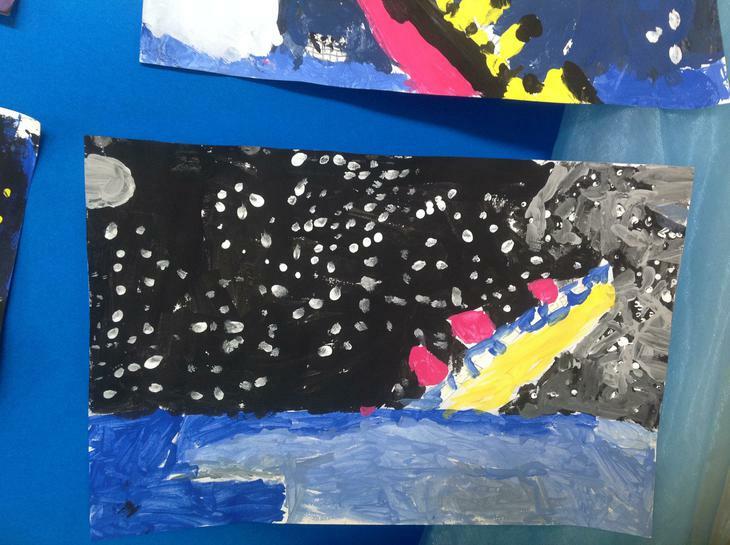 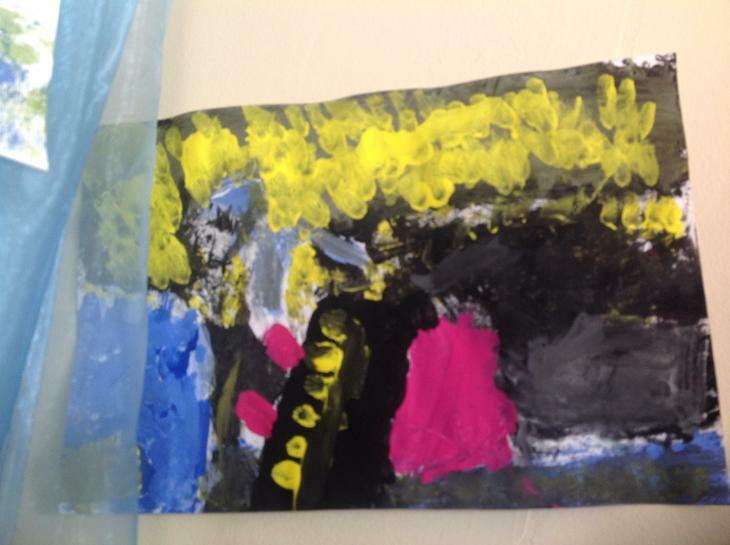 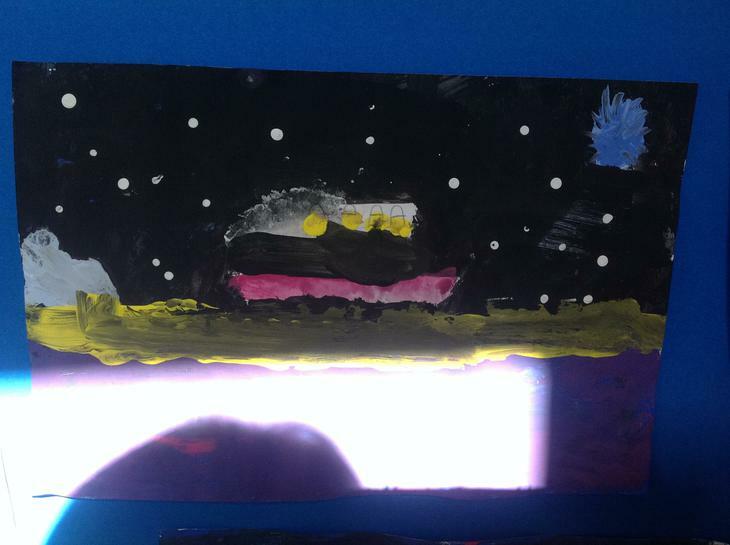 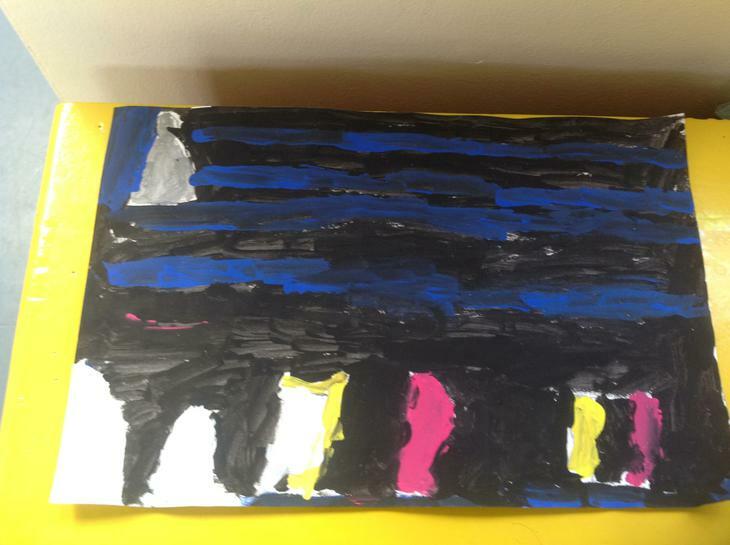 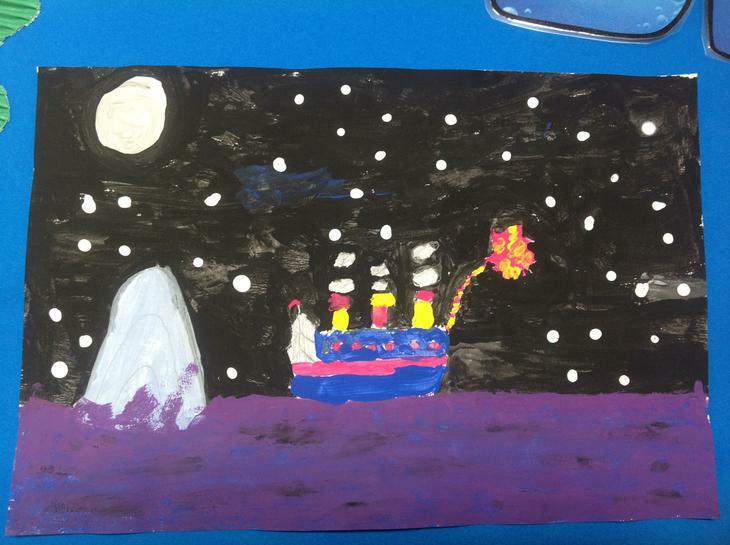 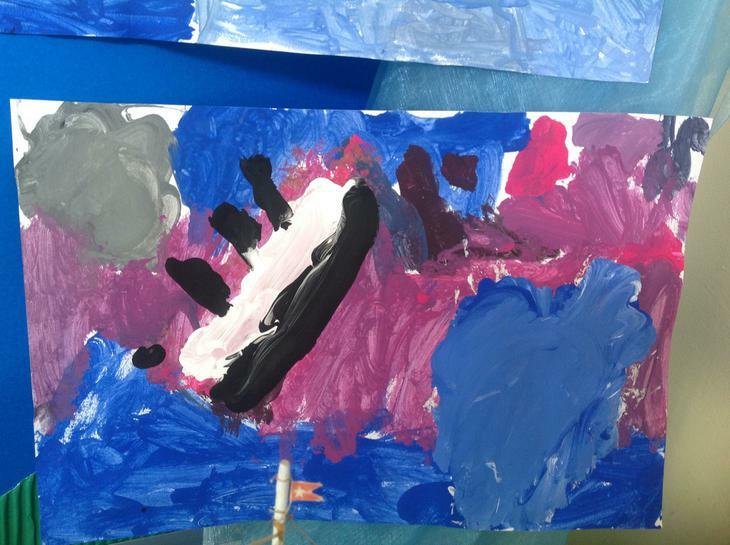 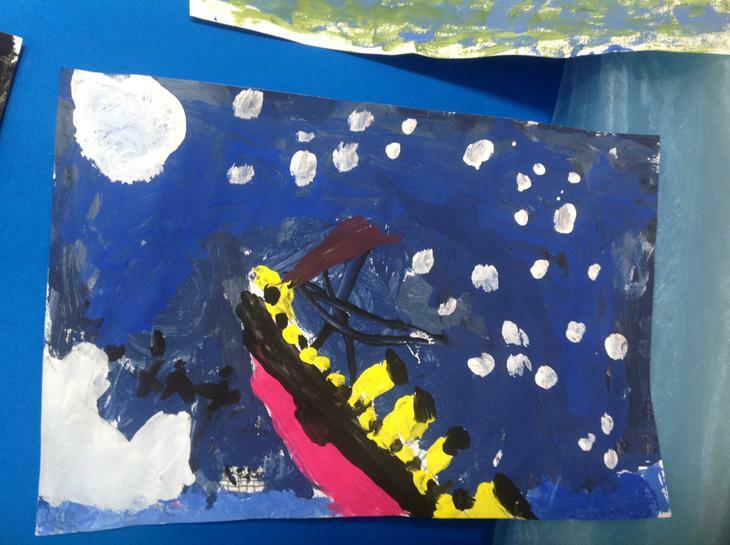 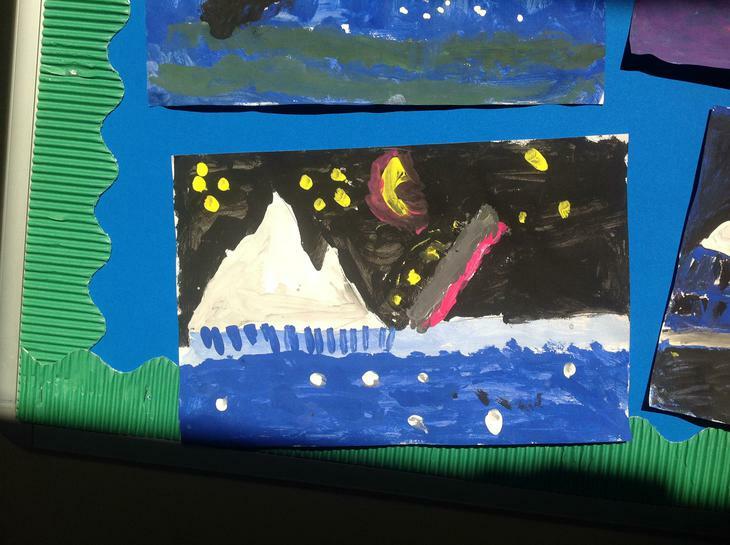 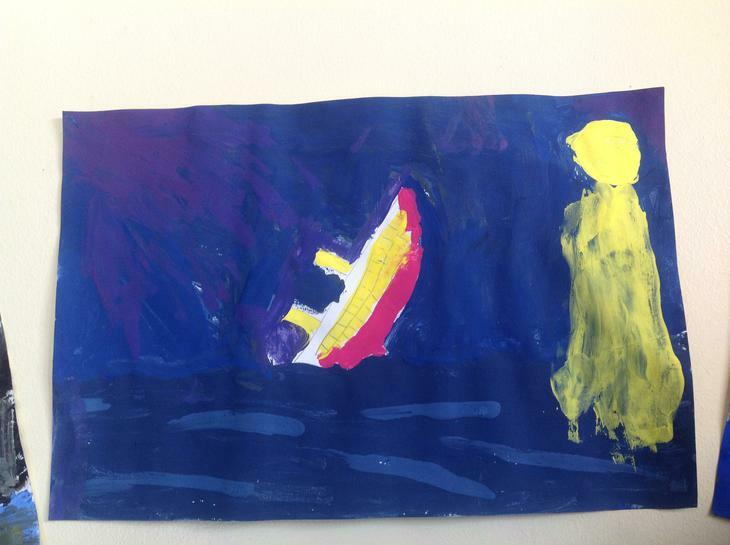 We've been taking inspiration from Van Gogh this week with our artwork of the Titanic. 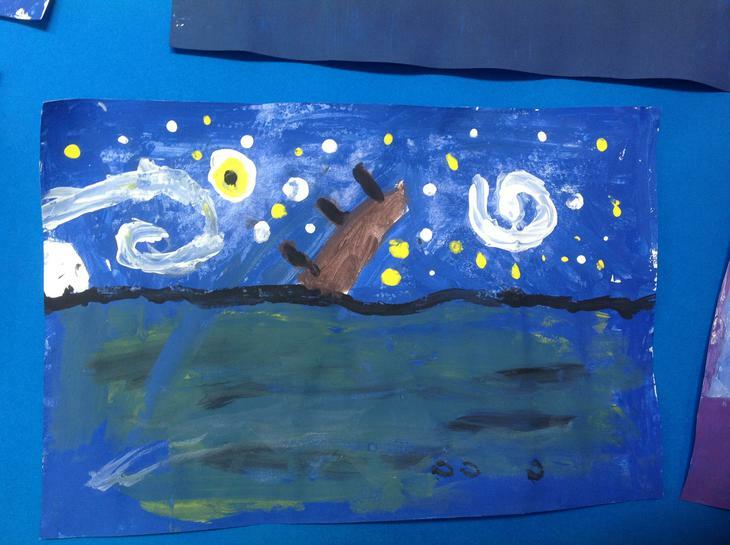 We looked at the effects and brushstroke so Gogh used to create the sky in his Starry Night painting. 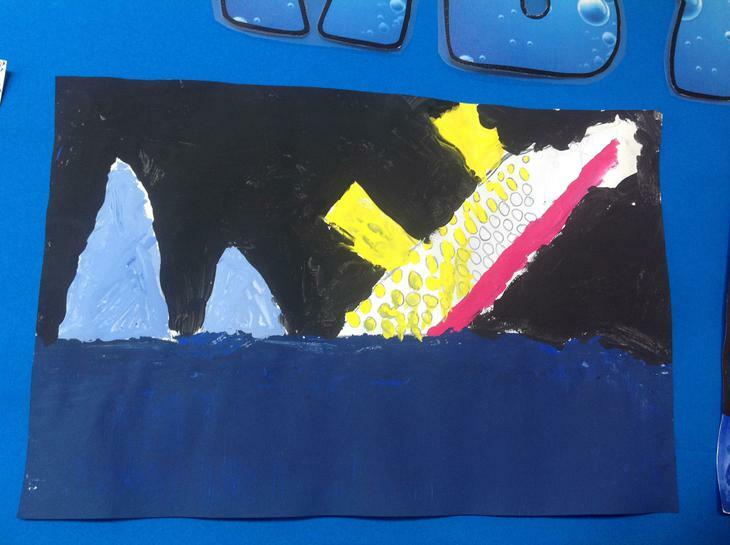 We experimented and then created our own version of the Titanic on the ocean!